20 November 2005: Belo Horizonte, the capital city of the Brazilian state of Minas Gerais, has established a number of ambitious projects to supply cheap, nutritious food to the poor, cut down on food waste, teach people how to handle and prepare food and encourage the planting of organic food by small agricultural holdings. In a paper prepared for City Mayors, the city’s municipal government points out that, according to the Akatu Institute, some 64 per cent of Brazilian crops are lost along the production chain. That amounts to 70,000 tons of food wasted every year. Belo Horizonte’s Food Bank program attempts to close the gap between those who are starving and those who waste food. More than 20 per cent of crops are already destroyed at the point of harvest. Some eight per cent are wasted during transport, while industrial processing ruins another 15 per cent of foodstuff. But one of the greatest destroyers of food are people in their homes. Domestic mishandling and ignorance about food preparation account for 20 per cent of wastage. In 2001 Belo Horizonte established a program to encourage small farmers with the city boundaries to sell their produce in the city. Rodrigo Perpétuo, spokesman for Belo Horizonte’s Mayor Fernando Damata Pimentel, told City Mayors that small family-owned farms in the city used to supply the population with good quality vegetables. By protecting the natural resources they also became guardians of the environment. However, large-scale food production around the world destroyed the livelihood of many small farmers. 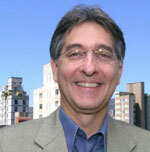 Mr Perpétuo explained that the city intended to make small farmers again a significant supplier of food in the city. “They will be encouraged to grow organic produce, with the city helping them with equipment, giving them access to public spaces and supporting them to sell their products to the people of Belo Horizonte,” the Mayor’s spokesman added. The city already operates a ‘School and Community Vegetable Garden Project’, which encourages schools and community groups to grow food on un- and underused public plots of land. But now the city has gone one step further by setting an ‘Alternative Planting Scheme’. Mr Perpétuo explains that even the smallest areas of ground and indeed containers can be used to plant vegetables and medicinal plants. He says that the city sees nothing wrong with encouraging people to use discarded tires, barrels or plastic containers as plant vessels. “The city, in partnership with state government departments, gives advice, offers technical supports and even lends tools and equipment,” Mr Perpétuo told City Mayors. The Alternative Planting Scheme aims to change the eating habits of socially disadvantaged people by encouraging them to grow medicinal plants and wholesome vegetables for their own consumption. In addition to helping families to cut the cost of food, the scheme should re-awaken interest in urban agriculture, teach people horticultural practices and make use of recyclable objects. Belo Horizonte is also keen to encourage small family farms and agricultural cooperatives to sell their products in city markets. Very often the commercialisation of food supplies means that producers sell their goods to middle men, a process which reduces the income of growers and increases the cost of food to consumers. Since 1996, together with partners including the Bank of Brazil, the city has been managing the ‘Country Storehouse Project’, which aims to offer alternative distribution channels to small agricultural enterprises. It encourages producers also to take on responsibility for the processing, marketing and selling of their products. The project also provides help to producers who want to join together in associations and cooperatives. Rodrigo Perpétuo said that the scheme should become an agricultural model that provides producers with a good income and consumers with affordable produce, which has been grown without chemical additives. For the most disadvantaged people of Belo Horizonte, mostly those living in slum areas, the city has been running the ‘Popular Big Basket’ programme since 1995. Through a public bidding process, the municipal administration will acquire 24 to 30 lines of food, hygiene and cleaning goods, which are offered to the very poor of the city at very low process. Specially adapted buses tour the slum areas of the city, allowing families to purchase essentials twice a month. Created to replace Ouro Preto as the capital of the state of Minas Gerais, Belo Horizonte is one of the few Brazilian towns that were planned. Situated at an altitude of 858 metres, its construction began in 1893 and it was inaugurated four years later with the name Cidade de Minas Gerais. In planning it, the engineers, Aarão Reis and Francisco Bicalho, found their inspiration in the town plan of Washington DC (USA). 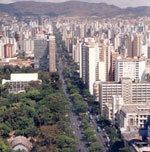 Belo Horizonte is the fourth-largest city in Brazil, with 2.3 million inhabitants. Its metropolitan region is formed by 20 municipalities. The capital is also a gateway to historical towns like Ouro Preto and Mariana and to the Lapinha and Maquiné grottoes. Because it is a city that was actually planned, and also because of its neoclassical and modern architectural features, Belo Horizonte can be regarded as a landmark for town planning and for architecture in the country. Anyone visiting it must not miss the Pampulha centre, the site of the first revolutionary works of Oscar Niemeyer, the best-known Brazilian architect. The Pampulha also has works by the artist Cândido Portinari, the landscape architect Burle Marx and the sculptor Ceschiatti and includes the church of São Francisco de Assis, the Belo Horizonte Museum of Art, the Yacht Club, the Dancing Academy, the House of Juscelino Kubitschek, the Headquarters of the Zoo-Botanical Foundation, the monument to Iemanjá and the Mineirão and Mineirinho stadiums, registered as historic heritage. In the area surrounding Belo Horizonte are parks of great natural richness such as Mangabeiras, located six kilometres from the city in the Serra do Curral. This park provides an astonishing view of the capital with an area of 2.35 million m2, of which 900 000 m2 are native forest. There is also the Mata do Jambeiro nature reserve extending over 912 hectares, with vegetation typical of the Atlantic Forest. In it live more than one hundred species of birds and ten different species of mammals.